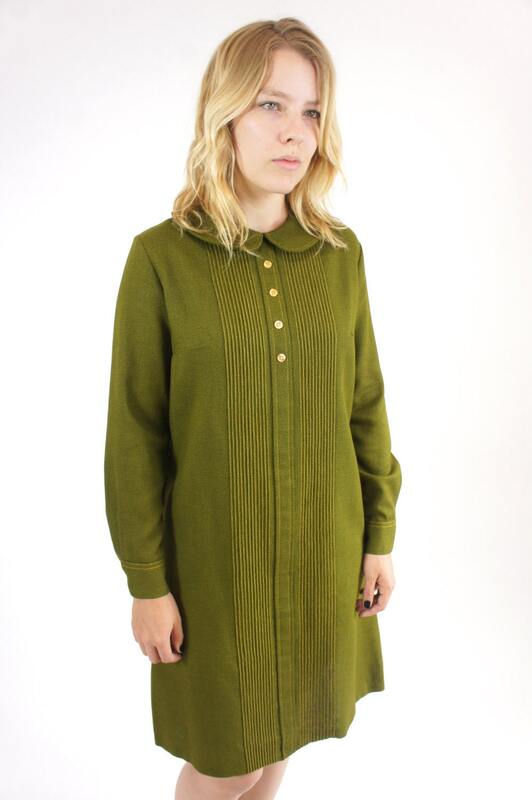 A wonderful mod 60's dress! Made of heavy material with gorgeous collar buttons and a zipper up the back. Perfect with a pair of heels and tights!